EXCELLENT FUEL ECONOMY! 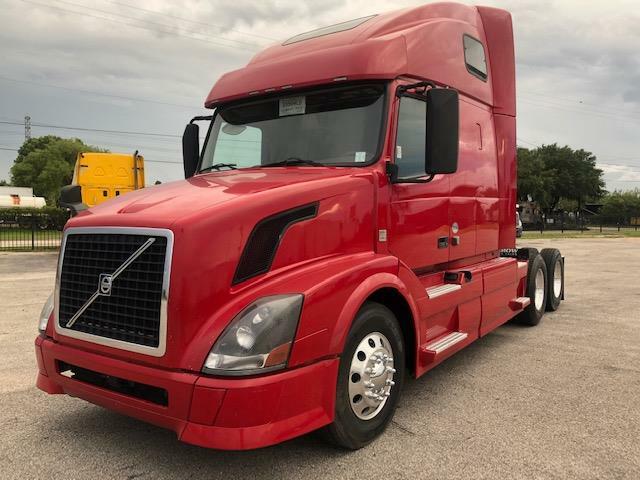 This beautiful, late model VNL670 is not only one of the best looking trucks on the road, it is also one of the most fuel efficient. With it's aerodynamic design and light weight chassis, it will give you the mpg's you need to maximize your profits. It is equipped with power passenger window, power/heated mirrors, air-ride seats, tilt/tele steering, and a spacious raised roof double bunk sleeper with lot's of storage. DOT ready, PM serviced and professionally detailed. 90 Day Confidence+ Power-Train Warranty included. Extended warranty, insurance, 24/7 roadside assistance, and financing available! We say yes when others say no! Call us today and let one of our friendly and knowledgeable sales consultants help you find the equipment you need.